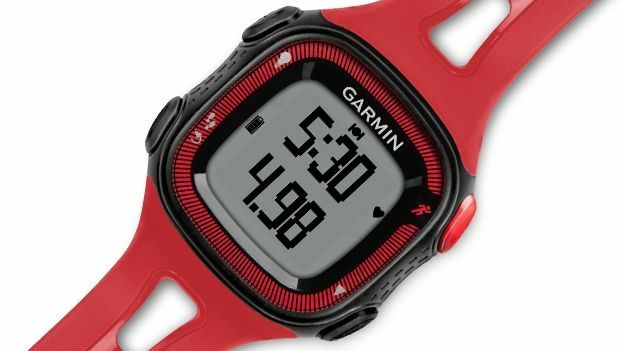 Garmin has a brand-new range of budget GPS running watches that'll not only track your fitness but also connect to a heart rate monitor and foot pod sensor. Designed to be more of an all-in-one fitness solution as opposed to your average running watch, the Forerunner 15 range is water resistant to 50m and compatible with a range of external sensors including heart rate monitors and pod sensors that measure how many steps you've taken. Of course as part of an all-in-one solution the Forerunner doesn't just measure your running, it also knows when you've been sat at a desk for too long, reminding you to go and stretch your legs. Battery life looks to be impressive considering this fitness watch's skill set with non-GPS mode giving you over five weeks of battery life whilst GPS mode will give you a good eight hours. If this sounds like the wrist-worn fitness instructor you've been looking for then Garmin is pricing the standard Forerunner 15 at £139 whilst the watch with a bundled heart rate monitor will set you back £169.